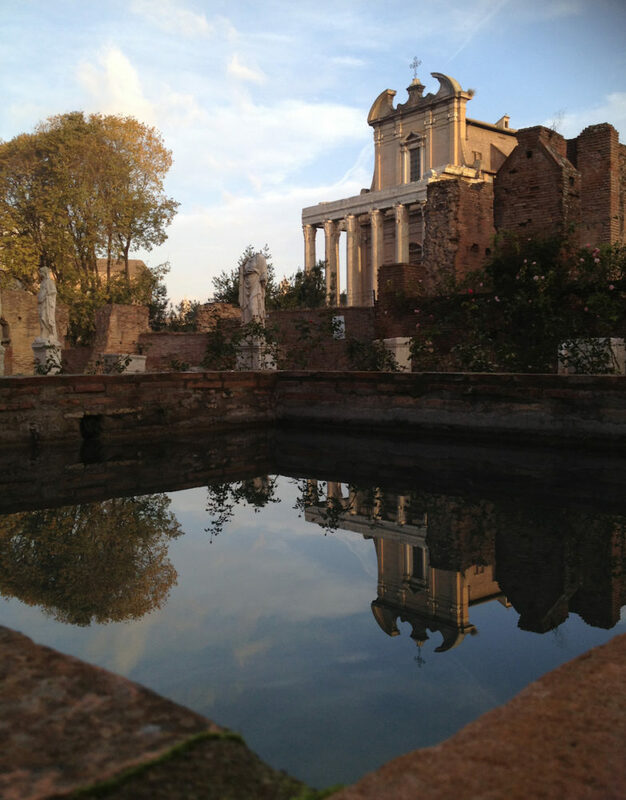 The Forum was originally covered by a swamp. 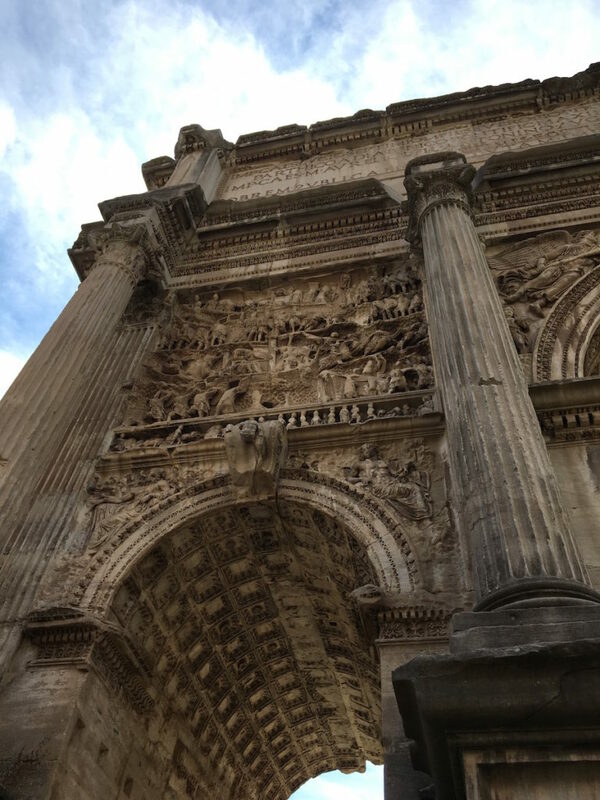 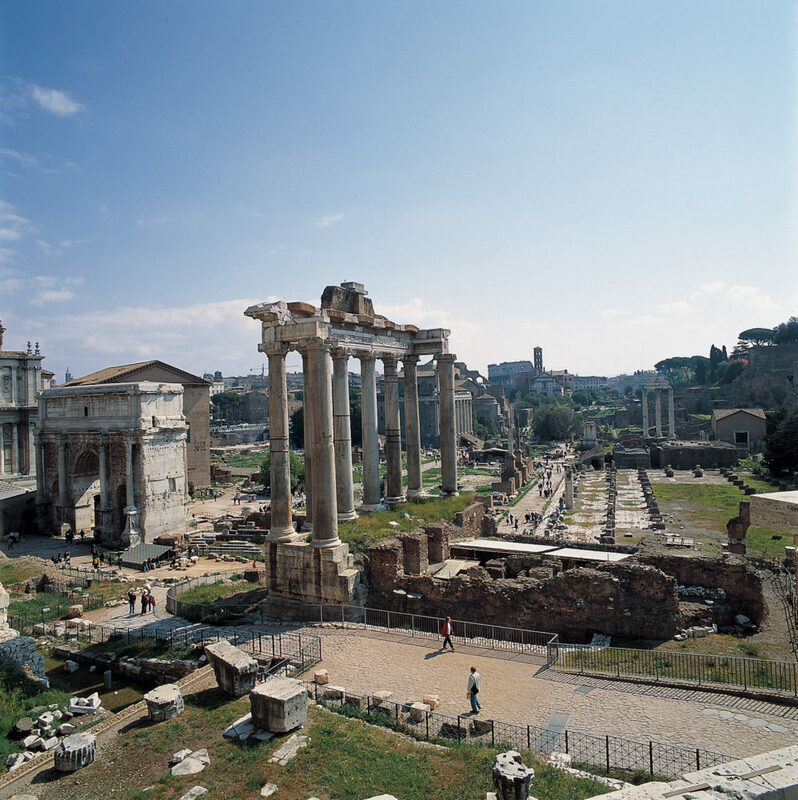 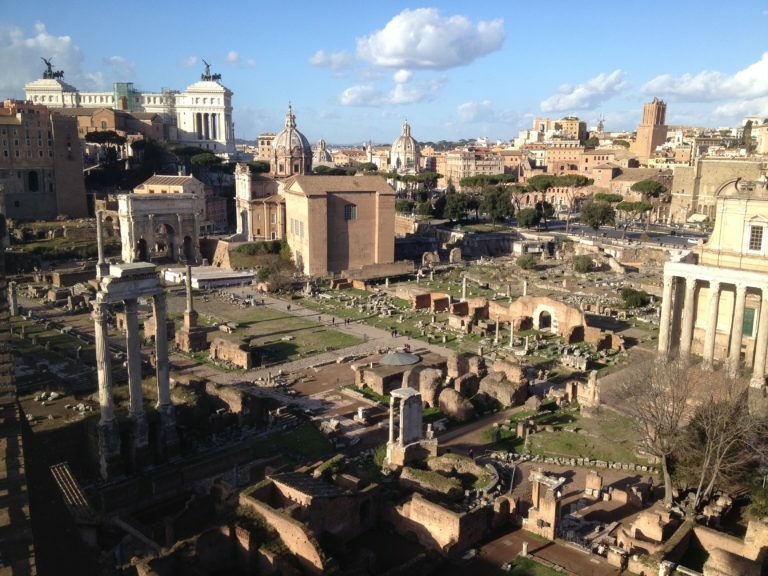 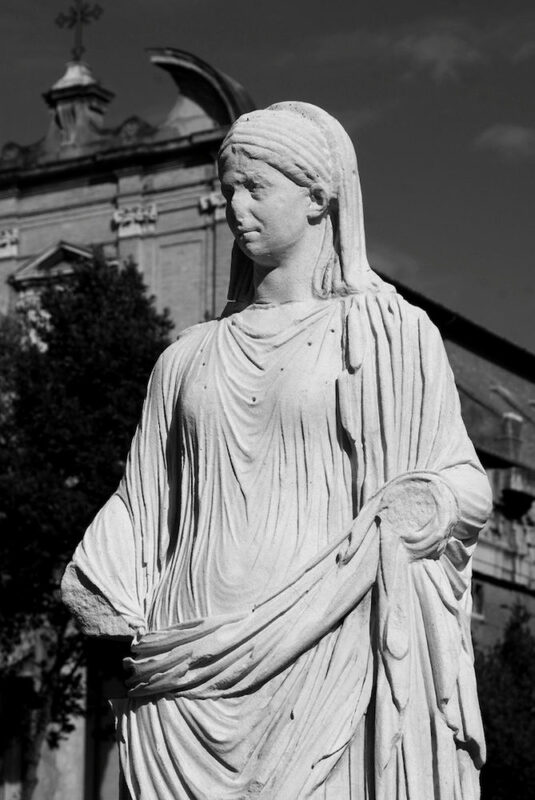 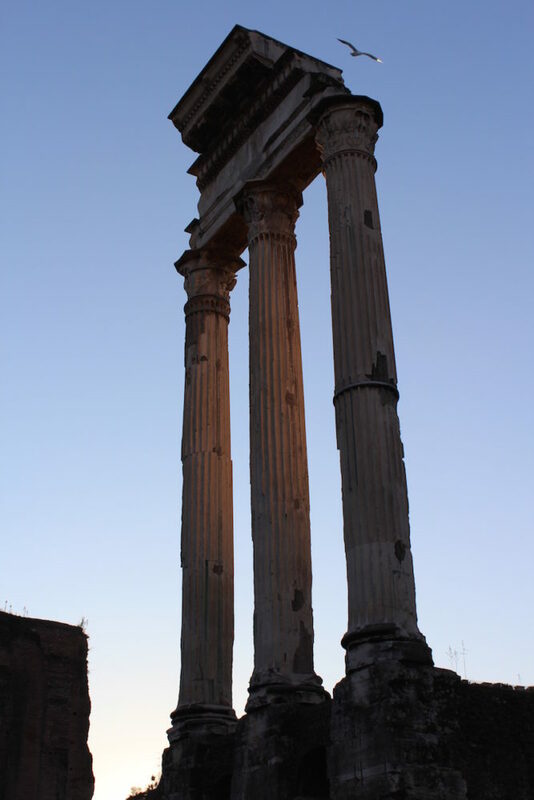 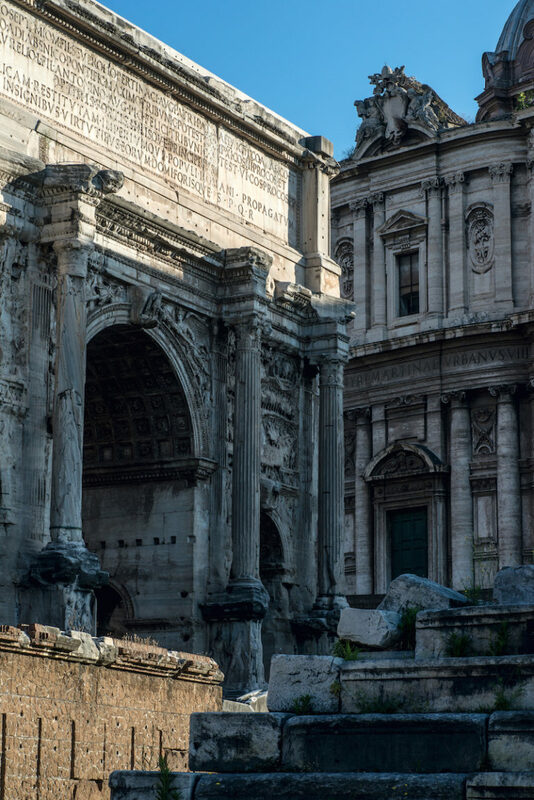 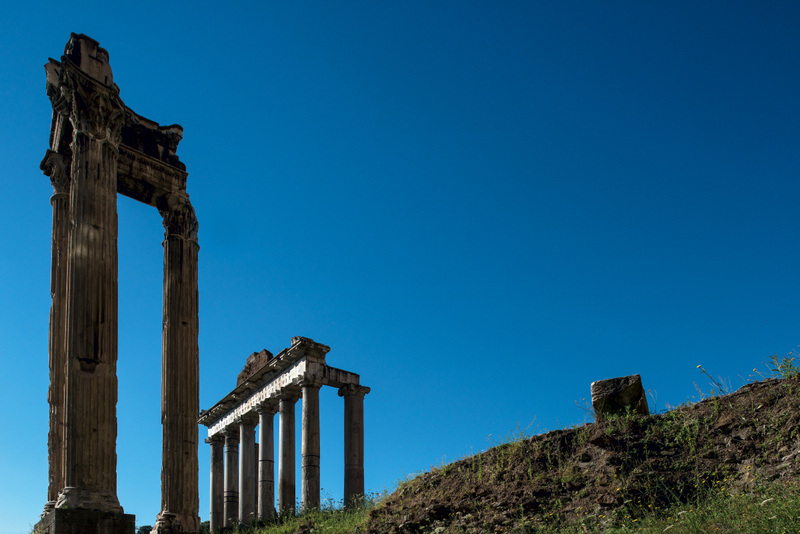 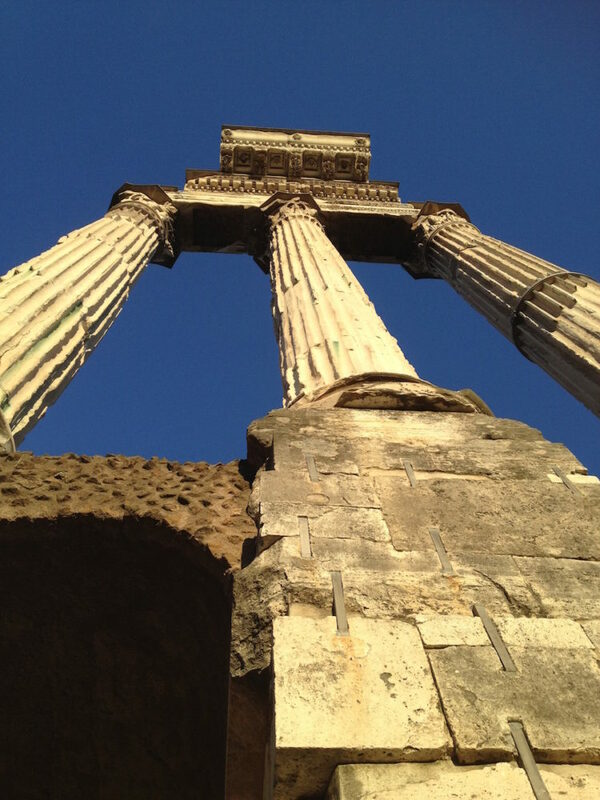 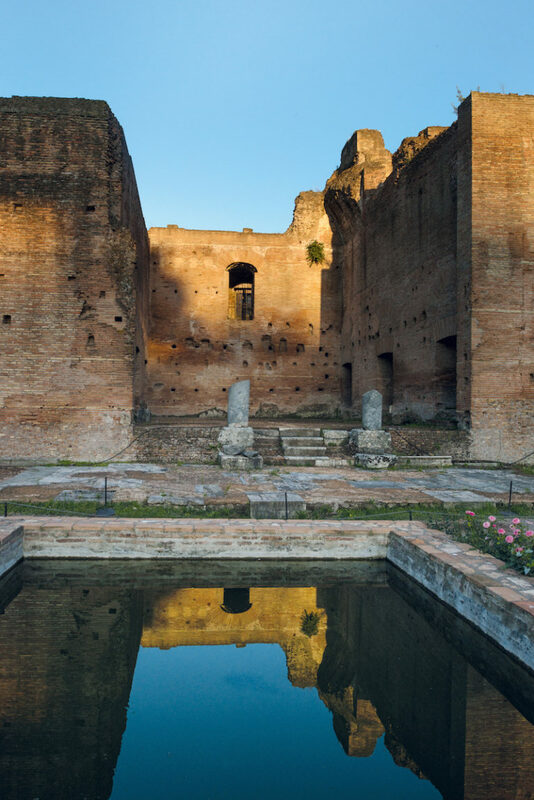 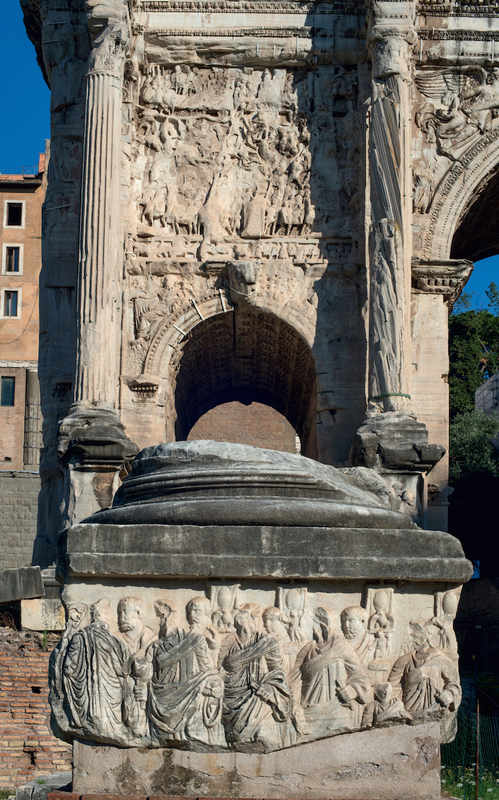 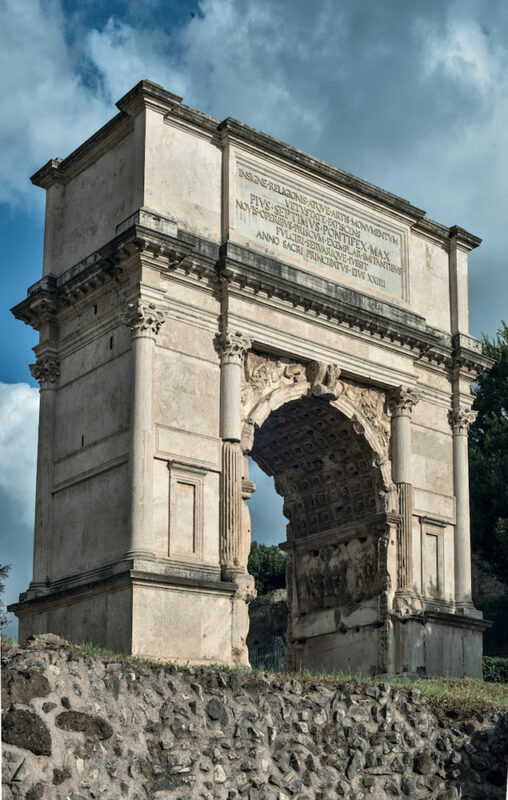 It was only in the late 7th century BCE that the valley was reclaimed and the Roman Forum began to take shape. 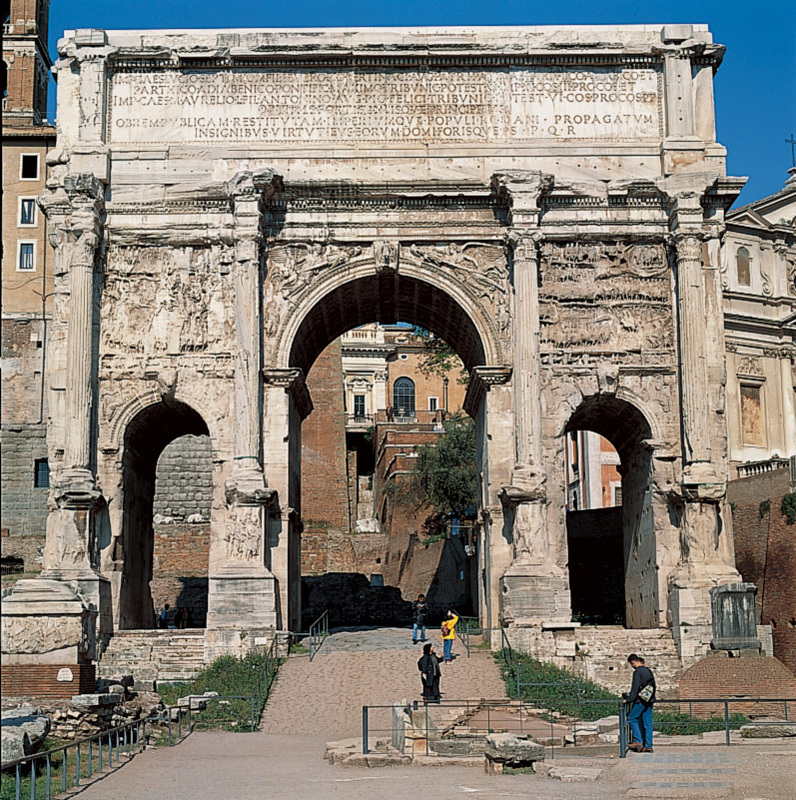 It was destined to remain the centre of public life for over a millennium. 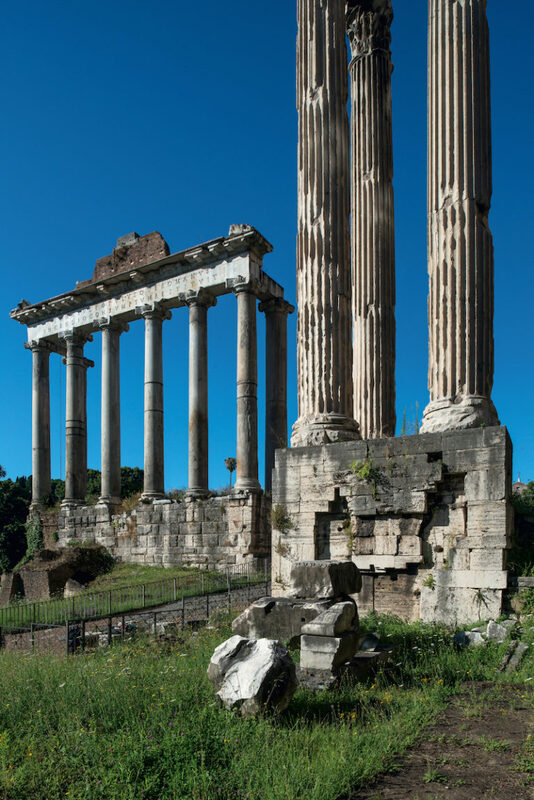 The various monuments were built through the centuries: first the buildings for political, religious and commercial activities, then during the 2nd century BCE the civil basilicas, used for judicial activities. 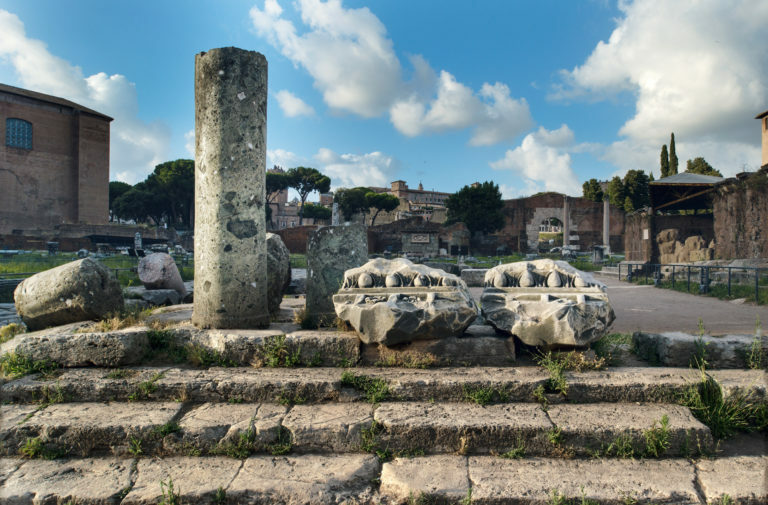 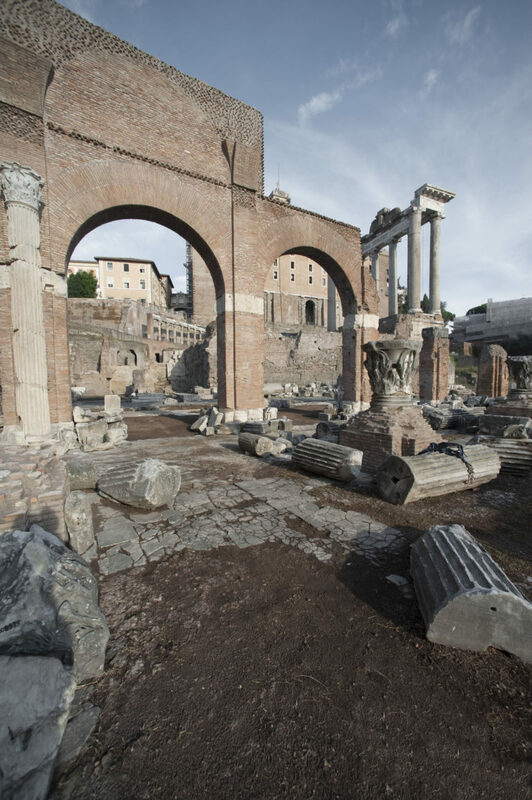 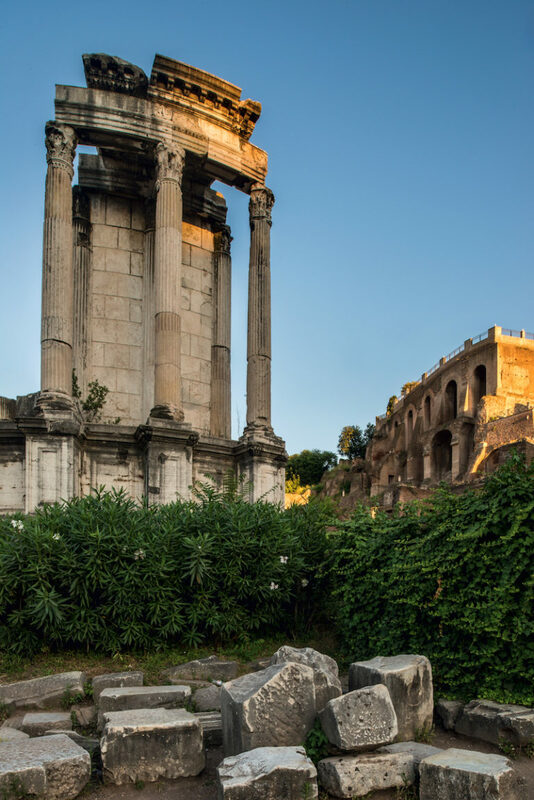 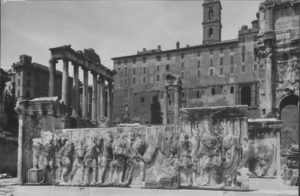 Already at the end of the republican age, the ancient Roman Forum had become insufficient to serve as the administrative and representative centre of the city. 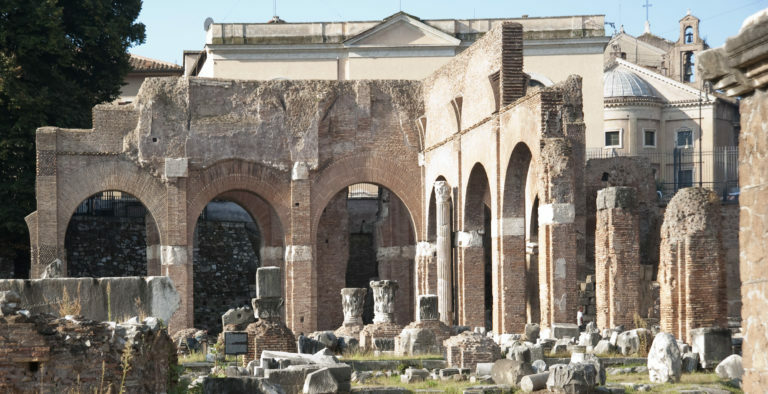 The last great development was carried out by the emperor Maxentius in the early years of the 4th century CE, when the temple dedicated to the memory of his son Romulus and the imposing Basilica on the Velian Hill was erected. 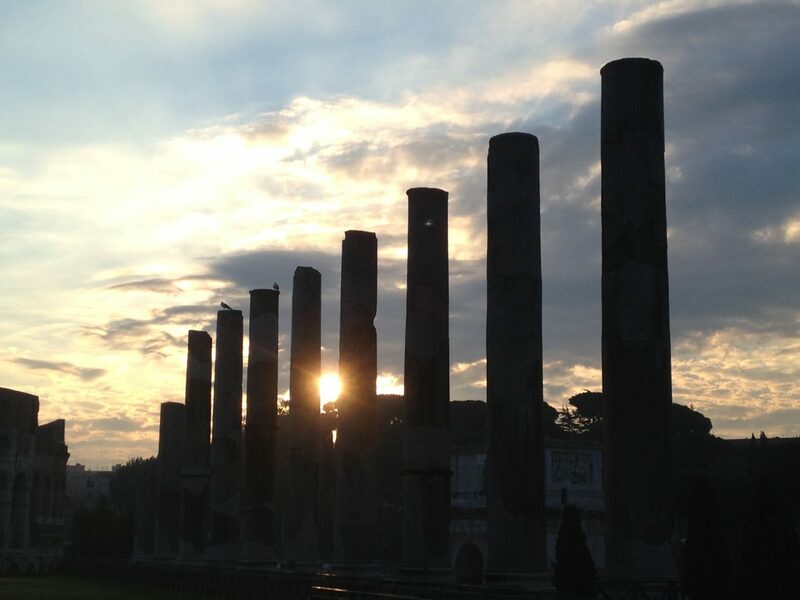 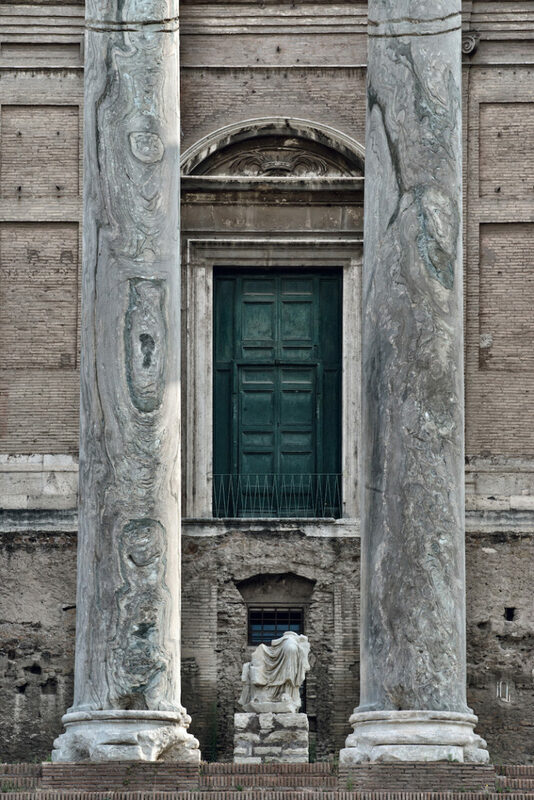 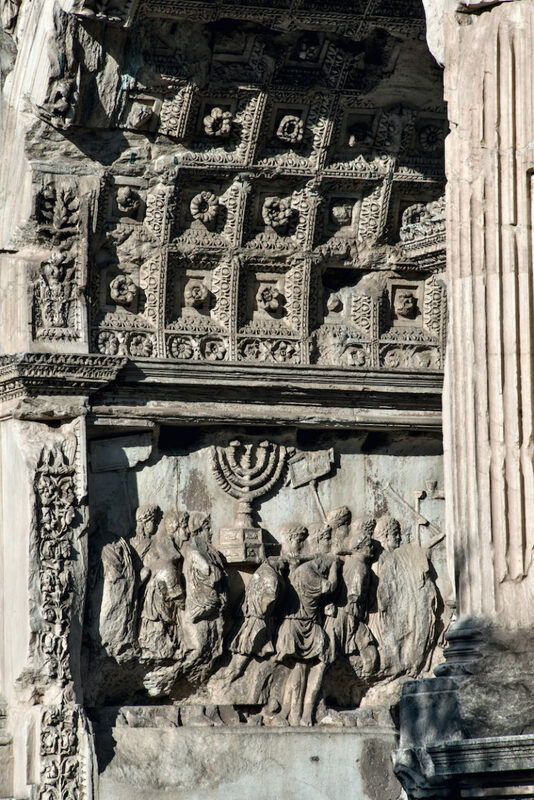 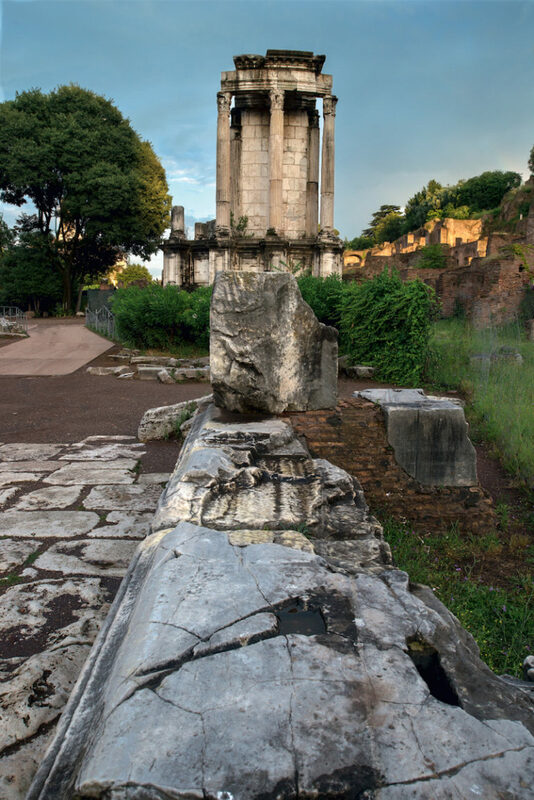 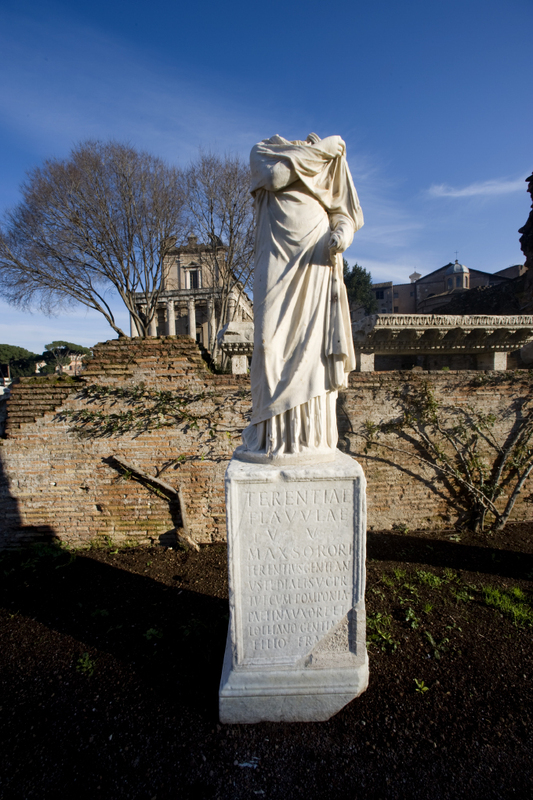 The last monument built in the Forum was the Column erected in 608 CE in honour of the Byzantine emperor Phocas. 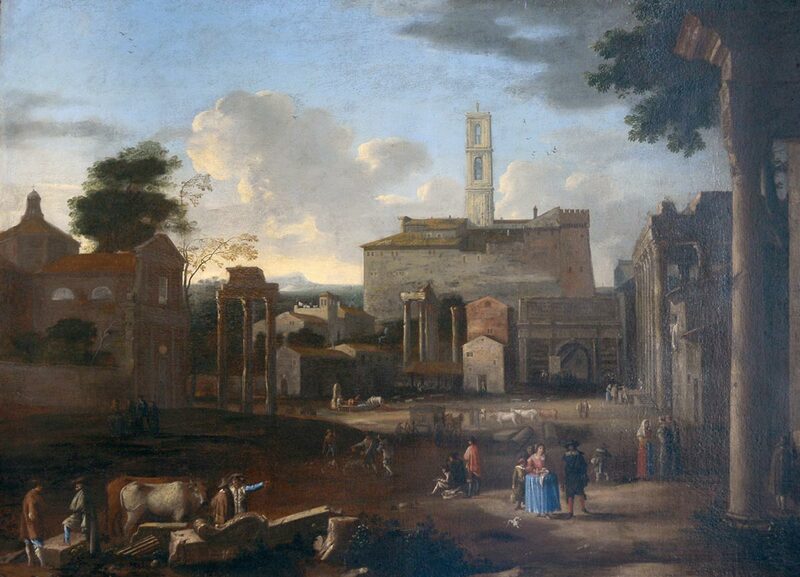 After this date, part of the area was gradually buried under silt, turning to meadow and taking the name of the Campo Vaccino, but some monuments survived by being converted into churches. 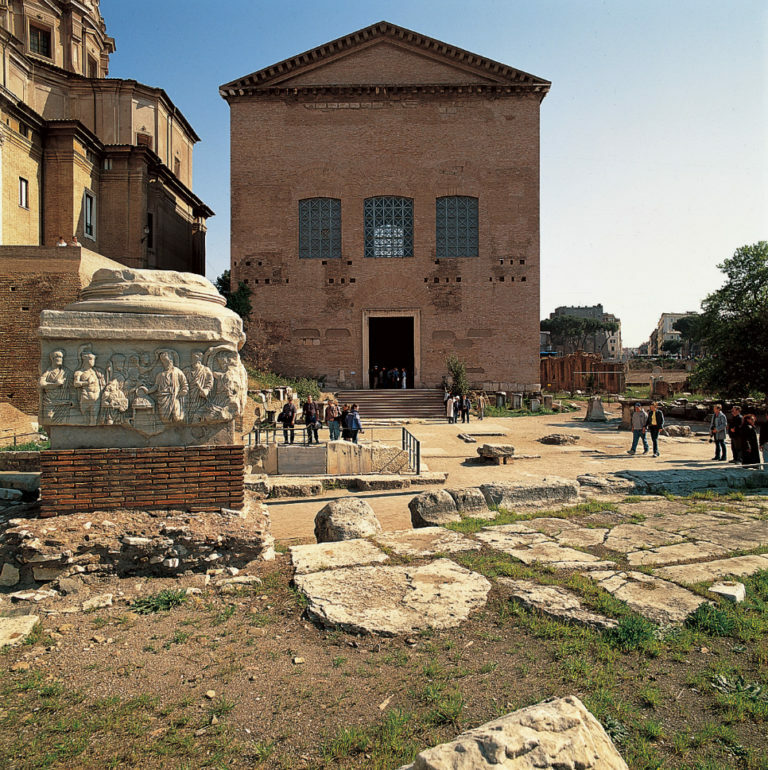 The Iulia Curia became the church of Sant’Adriano; part of the temple of Antonino and Faustina was transformed into the church of San Lorenzo in Miranda, while the temple of Romulus became the church of the Santi Cosma and Damiano. 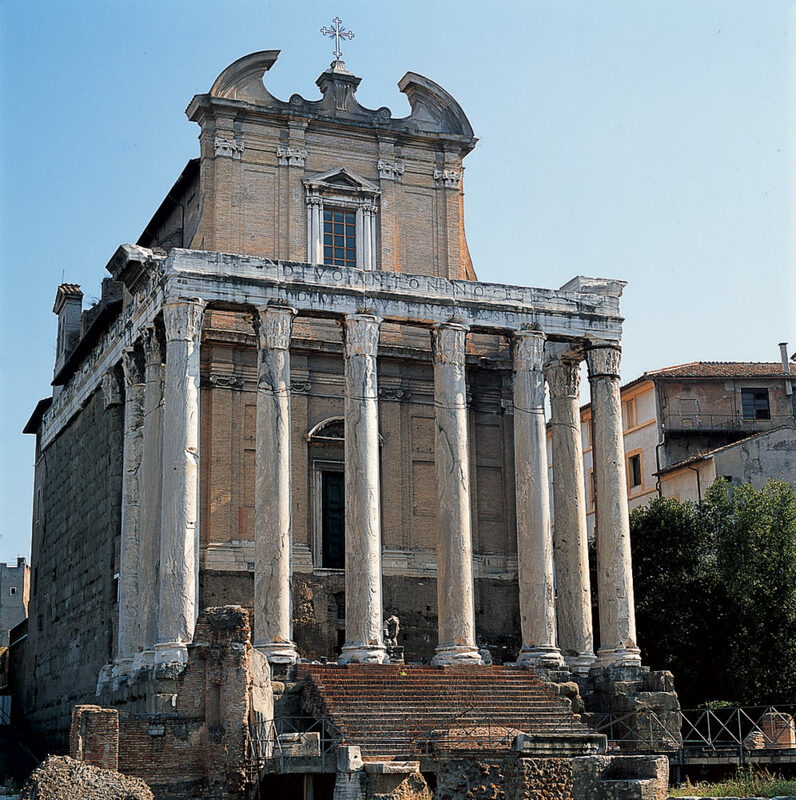 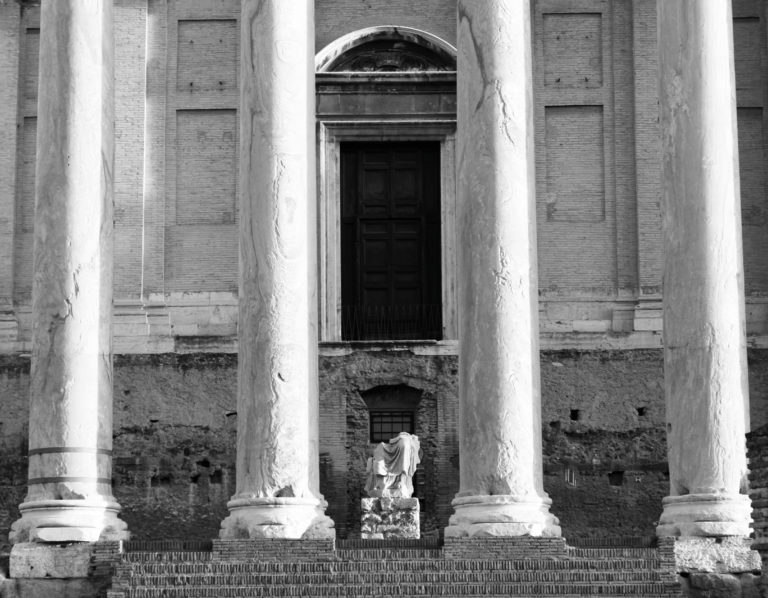 The church of Santa Maria Nova was erected in the 9th century in one of the cells of the Temple of Venus and Roma. 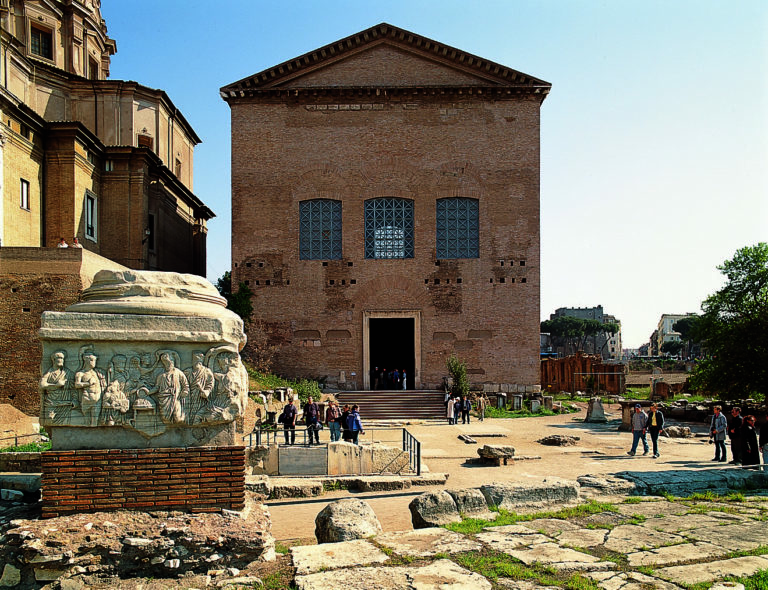 In the 16th century, the church of San Giuseppe dei Falegnami was constructed over the Mamertine Prison, the medieval name of the Tullianum, an ancient jail built by Ancus Marcius (640–616 BCE), where Catiline and Vercingetorix were imprisoned. 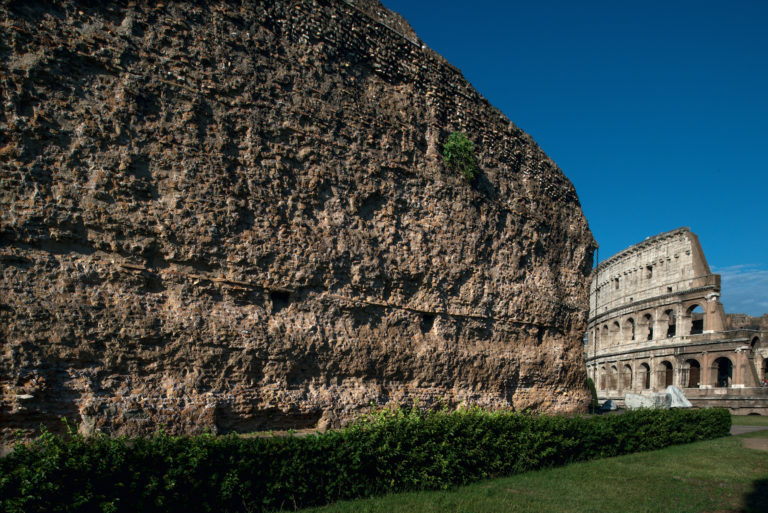 According to an unproven medieval tradition, St. Peter was also held prisoner in it. Finally, in the 17th century, the church of Santi Luca e Martina was rebuilt on the ruins of the Secretarium Senatus. 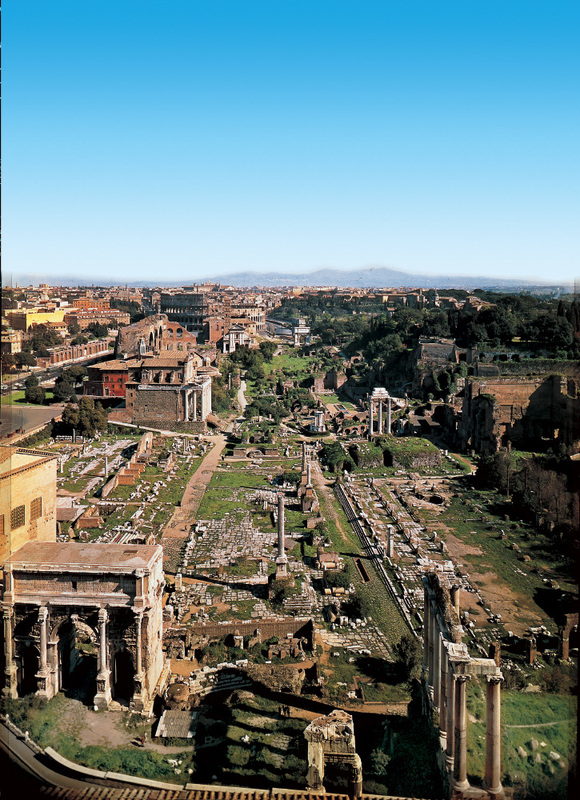 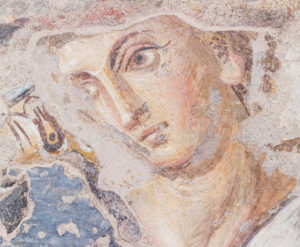 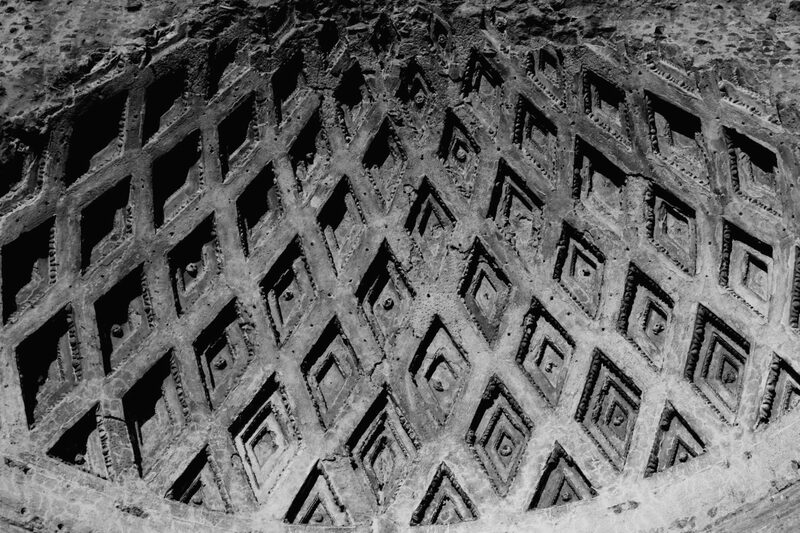 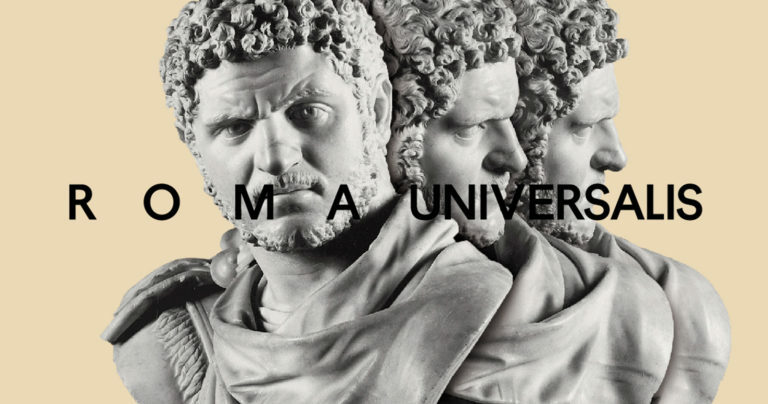 It was not until the unification of Italy that the first systematic excavation work was carried out in the area. Valid for two consecutive days, giving one entry to the Colosseum and one to the Roman Forum-Palatine and exhibitions in progress. 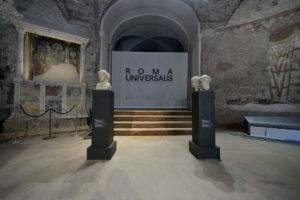 Reductions and free admission according to current legislation. 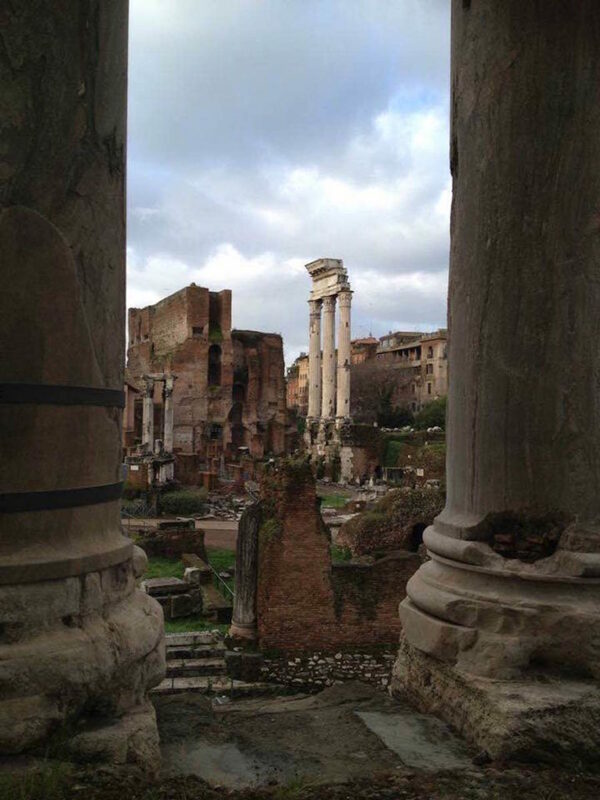 The ticket should be used by the year’s end. 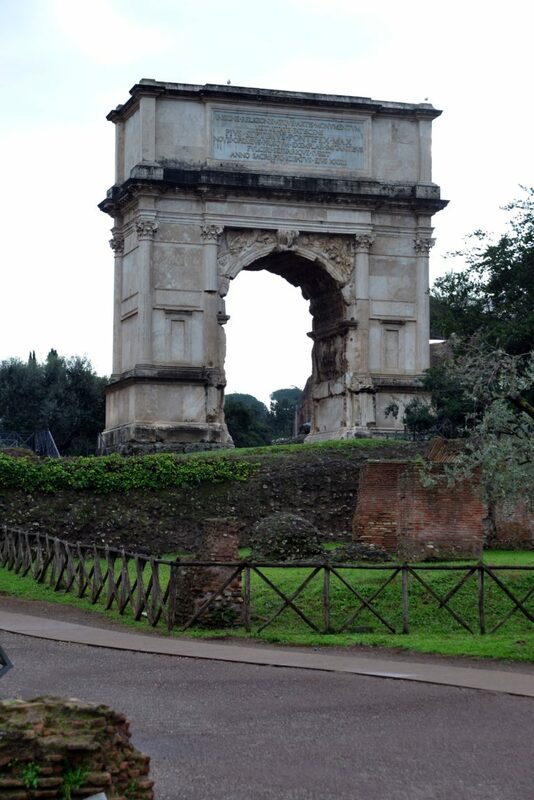 It gives entry to the Colosseum, Palatine and Roman Forum and also to 7 special places. 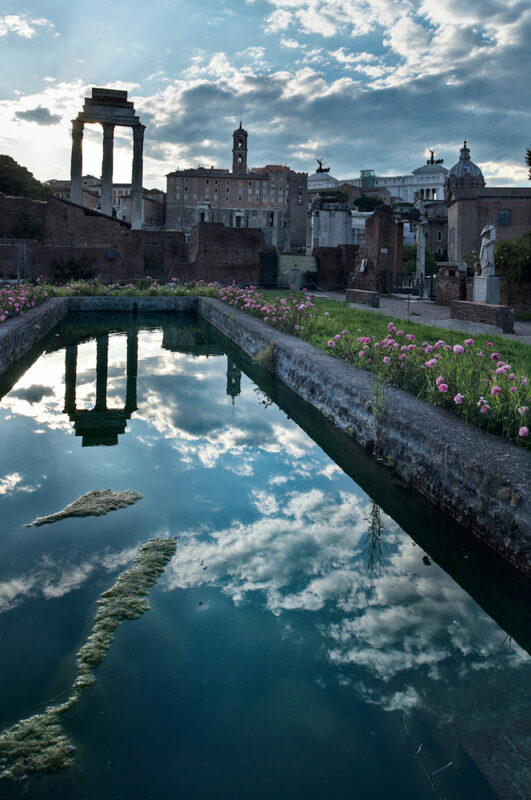 The itinerary is enriched with video projections, lightmapping, narrative voices and new information media. 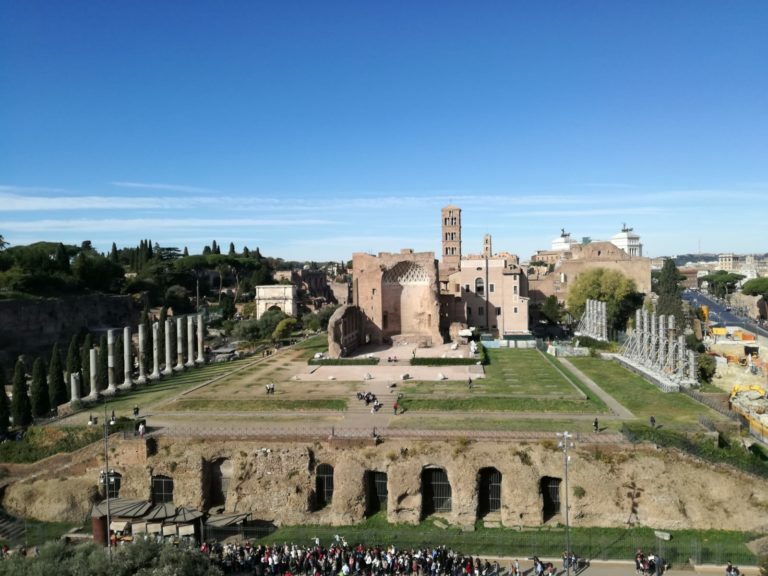 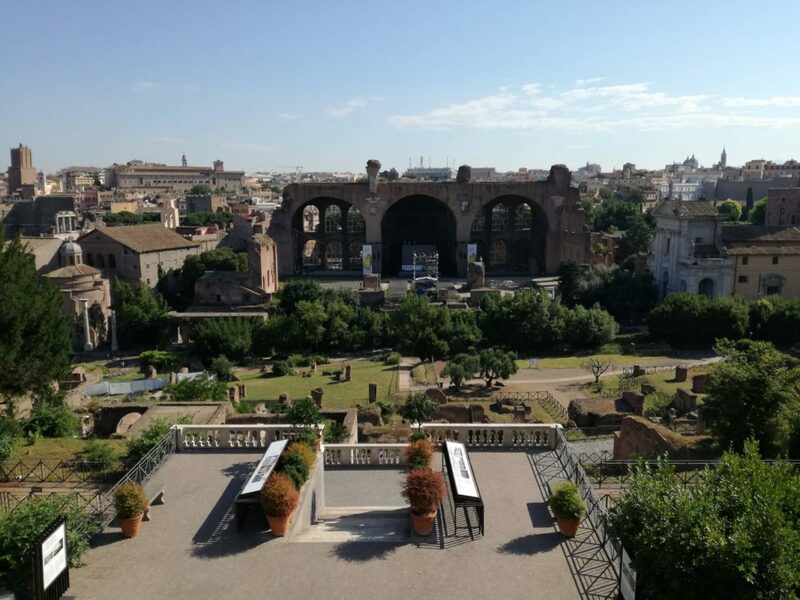 The card gives entry to the Colosseum + Roman Forum + Palatine circuit + exhibitions in progress, access to the Museo Palatino is not included in the ticket.